Alesha Dixon to reform Mis-Teeq? Alesha Dixon is in talks about reuniting Mis-Teeq. The 'Strictly Come Dancing' judge and her former bandmates Sabrina Washington and Su-Elise Nash are considering getting back together for a money-spinning tour later this year, following their split in 2005 after their record company Telstar went bust. A source told The Sun newspaper: "All three have been approached and the signs are very good. "They are not in touch regularly but have fond memories of Mis-Teeq. The tour will go ahead if their schedules allow it." 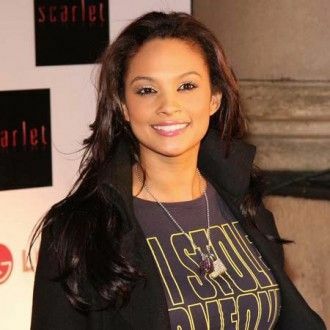 Since leaving the band, Alesha went on to have a successful solo career but is better known for winning 'Strictly Come Dancing' in 2007 before being asked to replace Arlene Phillips on the judging panel of the BBC One show. While Alesha has since become a huge TV star, the other two haven't been as successful with Sabrina appearing on 'I'm A Celebrity.Get Me Out Of Here!' in 2009, while Su-Elise she featured on the television casting show 'Britain's Next Urban Superstar!' as a judge in 2008. Over-14s show. R&B and urban tunes from the 'Strictly Come Dancing' judge.